The Dead Air Wolf-9SD is a modular suppressor that the user can run in either long or short configuration. 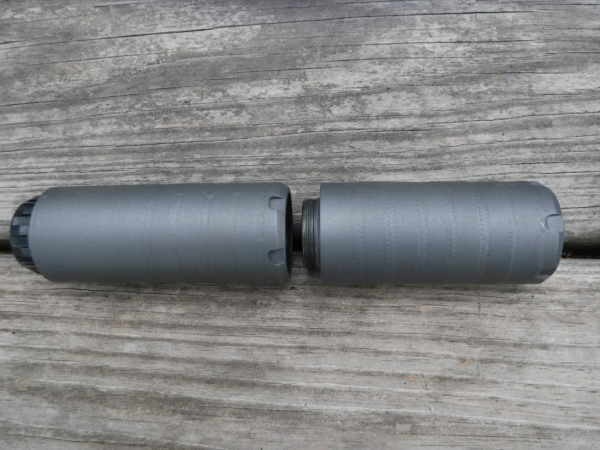 Dead Air markets this as the ideal silencer for a 9mm subgun but it can also be used with their 9mm pistol piston or on a fixed barrel rifle such as a 300 BLK. Not having a submachine gun handy, I used my trusty M&P Pro 9 as the host. Mine is the C.O.R.E. Model with a Trijicon RMR mounted. 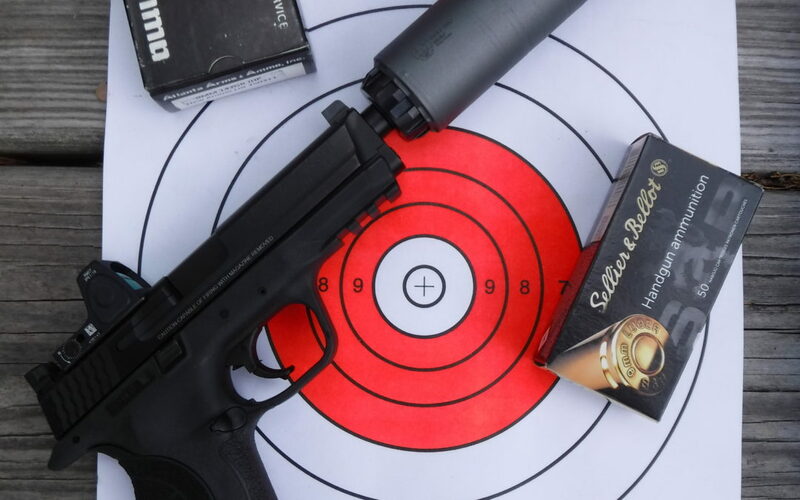 The Wolf-9SD is not really meant to be used as a dedicated pistol can because it’s diameter is a hefty 1.618 inches which obscures the pistol sights. 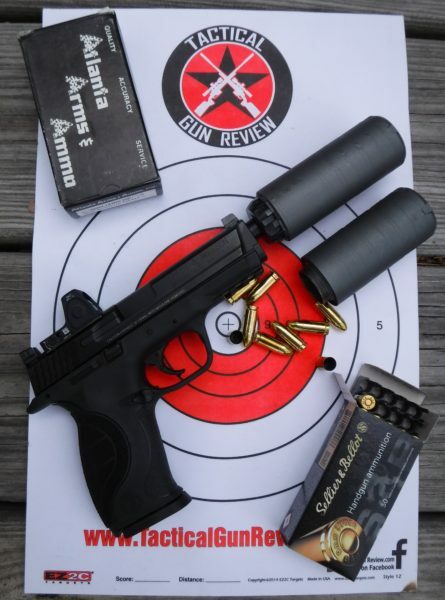 The RMR helped overcome this somewhat but it still isn’t ideal. For comparison, most suppressors are 1.5″ diameter and require taller tactical sights so the Wolf-9SD is indeed hefty. 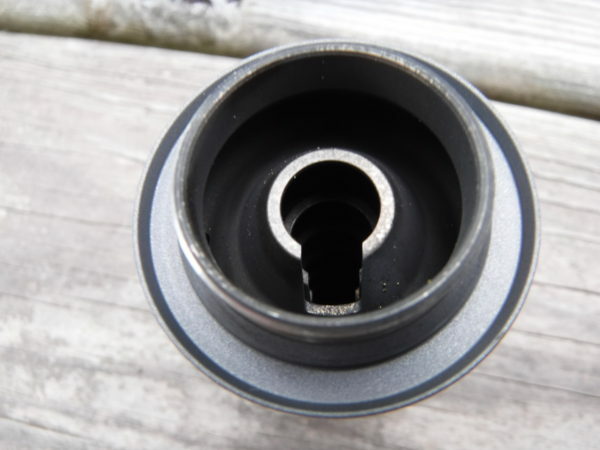 Pistol pistons are available for $89. The Wolf-9SD is constructed of welded stainless steel. 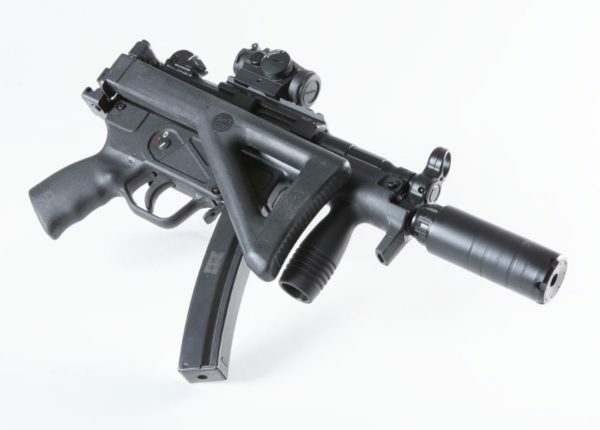 Rated Full-Auto for the submachine gun crowd. 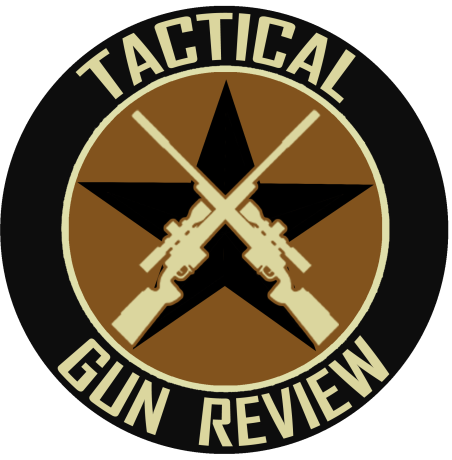 The suppressor is direct thread attachment. Mount the full-length configuration for maximum sound suppression or mount as a shorty to go full Ninja. It is an easy process to separate the two sections and move the end cap using the special Dead Air tool. Converting the Wolf-9SD to the short configuration reduces length to 4.1″ and weight down to only 7.5 ounces. Of course, the reduction in volume will sacrifice sound suppression. I was somewhat surprised at the perceived higher pitched crack. Given the volume of the Wolf-9SD I was expecting a mellow bass thump. Then again, I say “perceived” because it really is a subjective experience. Even a pro quality decibel meter doesn’t tell the whole story. Unfortunately, pro dB meters capable of accurately measuring 140+ decibels are very expensive and consumer grade models only measure up to 130db. Really need to find a buddy with a submachine gun for a follow up article. The Dead Air Wolf-9SD is a combination of old-school rugged welded stainless steel construction married to some cool innovation in its modular design. 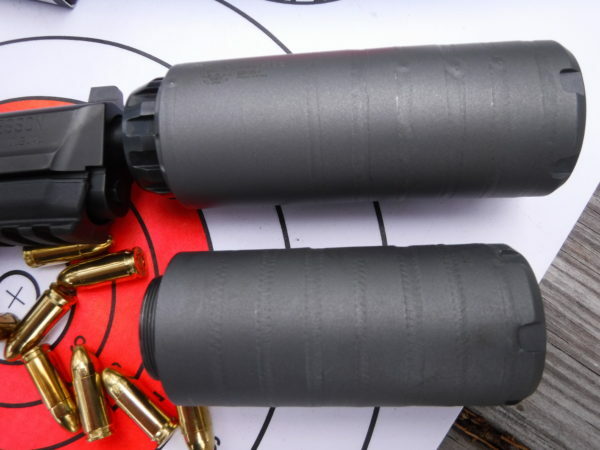 If your primary need is a pistol suppressor – look elsewhere. However, for the guy with a variety of weapons and intended uses the Wolf-9SD could be an interesting choice. Silencer Shop Street Price here.